A comprehensive article which critically appraises all the treatment options for Fibromyalgia and whether there is a viable natural cure for treating it. 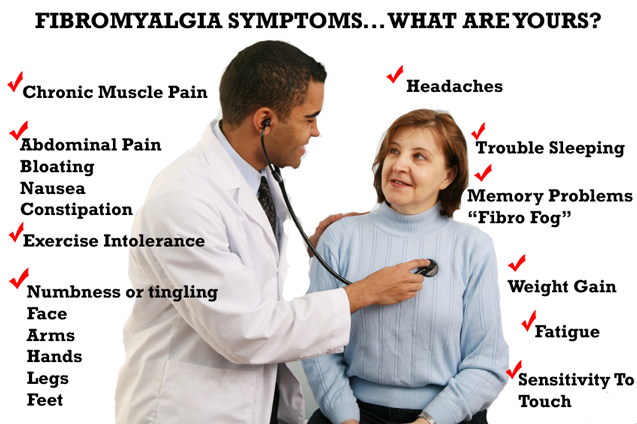 Fibromyalgia is a disease which can cause severe discontent to so many people. It can induce serious mental and physical pain in numerous individuals and can’t really be distinguished by age or gender. Its cause is unknown, although an imbalance of chemicals in the brain and immune system are deemed to be partially responsible. Fibromyalgia carries with it a malady of symptoms, including headaches, blurred vision, mood swings and endemic chronic physical pain. Exercise: An effective treatment for Fibromyalgia? As Fibromyalgia is caused by an imbalance of chemicals in the brain, it is only logical to assume that exercise may be an effective antidote to negate these abnormalities. Fibromyalgia is associated with common mood disorders, including depression, anxiety and other assorted conditions which cause an individual to not be themselves. This is because of a dearth of serotonin being secreted by the brain, so there is a lack of the ‘feel-good’ chemical being pumped round the body. It is well known that exercise boosts the production of Endorphins, which has been subsequently being linked to Serotonin being produced. Therefore, a supposition could be assumed that exercise should at least partially offset the negative effects of Fibromyalgia. This is true, in part. Fibromyalgia can also cause joints to ache and come under strain, in a similar manner to Arthritis. This means that for someone who is affected with the disease, they need to be careful with the type of exercise that they do, so not too much stress is placed on the body. Exercise should be of a low intensity and not last for a significant period of time. Half an hour should be sufficient to get the endorphins going. Aerobic exercise is probably the type most conducive to alleviating the symptoms of Fibromyalgia. This is because it places less strain on the body than most exercise types as it is primarily concerned with improving cardiovascular fitness (all health matters pertaining to the heart) which can have a wealth of health benefits, like stimulating the metabolism and even improving the digestive system. Examples of aerobic exercise include walking, swimming and cycling and some very light weightlifting. So in part exercise is a useful natural cure to stymie Fibromyalgia, if done correctly. Food and Fibromyalgia: Is there an effective natural cure? Just like exercise, on paper there seems to be a natural connection between your diet and Fibromyalgia. As the condition can ravage your body and deprive you of all the health benefits you deserve, what better way to put this right than by ingesting the right foods? This is again correct, but only partially. Fibromyalgia attacks the joints fairly aggressively and can cause them to wear away. This necessitates in taking foods which build up muscle, normally ones which are rich in protein. Wild Alaskan salmon has a double purpose: it can facilitate the growth of muscle, although it has the additional benefit of containing the right sort of fats- Omega 3 fatty acids. These can prevent toxins from entering the body and regulate the immune system. Fibromyalgia can also make someone fairly restless and feel bereft of energy, causing drowsiness and sleepiness. It may be tempting to load up on caffeine to sort this out and perk yourself up, but this may be the worst thing to do. Caffeine can contain a lot of toxins which are not conducive to improving the health that you find yourself in. Instead water is much more advantageous in keeping you regular. Fibromyalgia can cause dehydration, so it is only natural that water and other healthy fluids will replace anything that you have lost and keep the immune system going well. Foods that are high in Vitamin D can be the building blocks of your diet for combating the disease, as well as protein-rich foods and water. Essentially, it seems that Fibromyalgia can be at least partially negated by having a proper diet and undertaking exercise on a fairly regular basis. When in combination, these two things should be an effective natural cure for the disease, but only if they are managed correctly. Kelly Everson is an American author and MA in English literature. She is a health article writer who has written numerous online articles/journals on joint health, sleep disorders and stretch marks. What are the causes and treatment of Tonsillitis ?